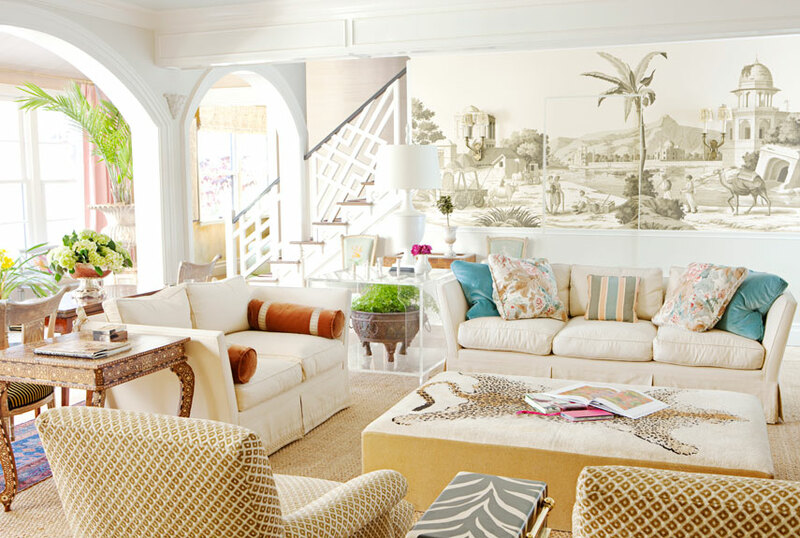 Mix and Chic: Home tour- A celebration of color in a designer's home! 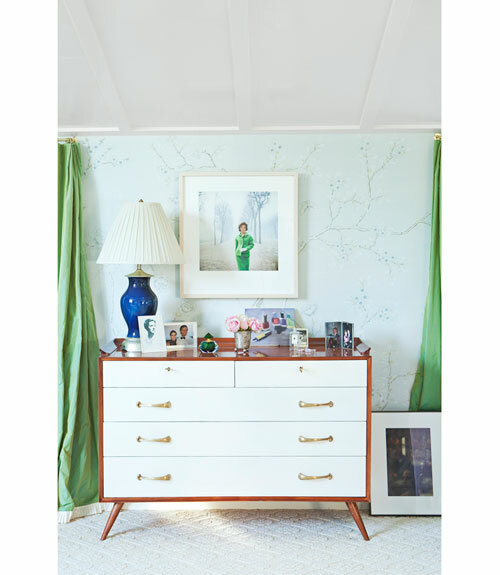 Home tour- A celebration of color in a designer's home! 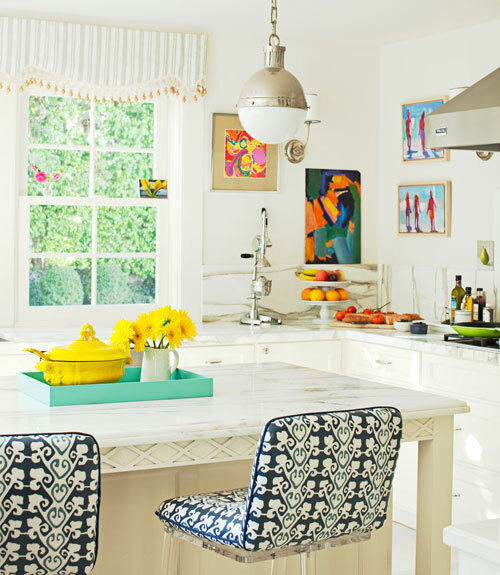 This gorgeous and colorful home belongs to Los Angeles interior designer and watercolorist Ruthie Sommers. 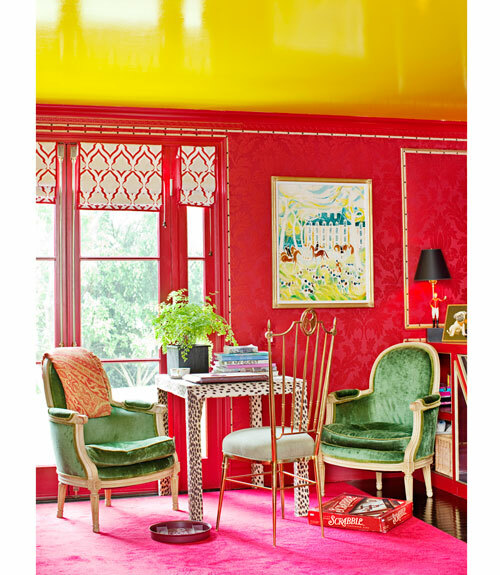 Unafraid of breaking common design rules, her home acts as her playground where she confidently injects bold, bright and contrasting colors with flair. Let's check out her whimsical home below. What are your thoughts? 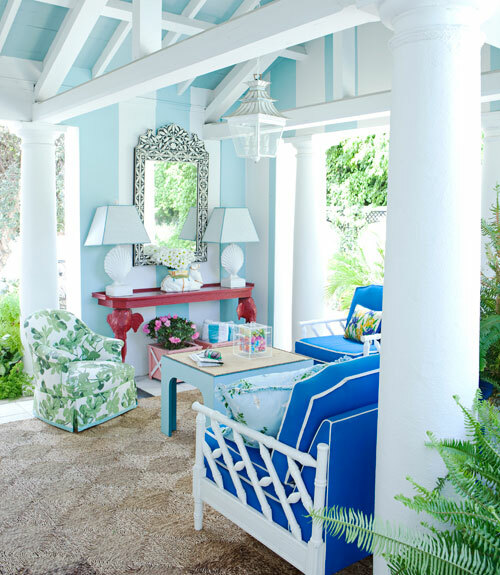 Would you enjoy living in a home filled with such bold and bright colors? I know I would. Looks like such fun rooms !! I love the kitchen and the living room in the second photo ! I LOVE this home. 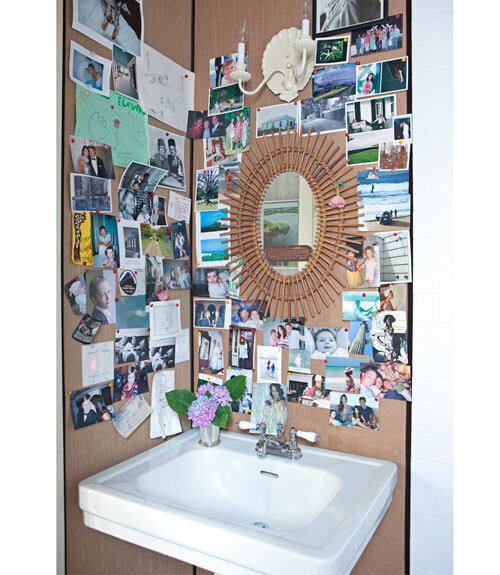 I have saved both the bedroom pictures for inspiration for my own room. I never seem to have quite the confidence to put this much colour together but I love it here. Another one of my favourites! 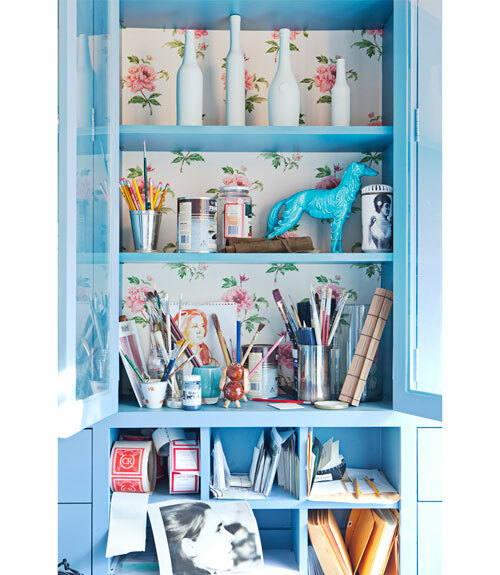 I would love to have such bold colours and patterns in my home! My favourite room is the bathroom though, I love those raised brick tiles! OMG!!! This is Gorgeous!!! I love lightness and colors of this place!!! My dream house! I can't even begin to imagine living in such an inspirational space.. Just devine. you have got me all aaaaah and ooooeehhh, such lovely pictures, most of them haven´t seen before. LOVE it! The kitchen and entryway are two of my faves. I don't know how people live in homes without color! Love all the color!! It is done in such a tasteful way...not too overboard and in your face color, just the right amount next to the calmness of white. Love it! Wow, she is fearless and really pulls it off!! 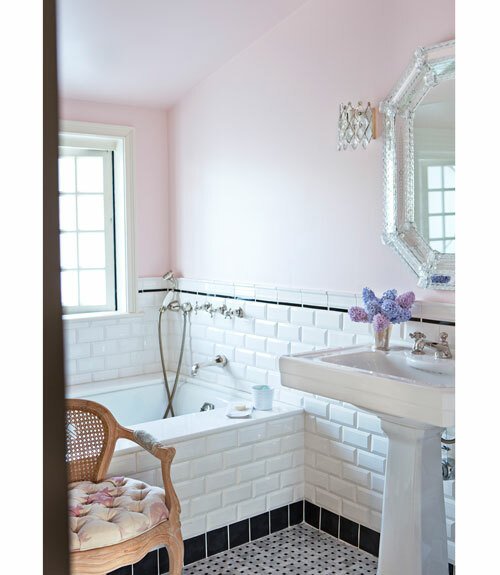 Love that pale pink in the bathroom, and the ceiling in the dining room is amazing!! So pretty ... those subtle touches of that stunning soft rose pink here and there are just stunning! Wow, love the last one. I love how she's not afraid to do so much with each room. I couldn't have that much color in each room in my own house, but looking at her's is very inspiring. I'd want to wander around her house and just look at every single thing! btw your comment about the stripes yesterday on my blog made me laugh cause I was the same way as a teenager- I wore stripes all the time!! I still think they're very flattering. 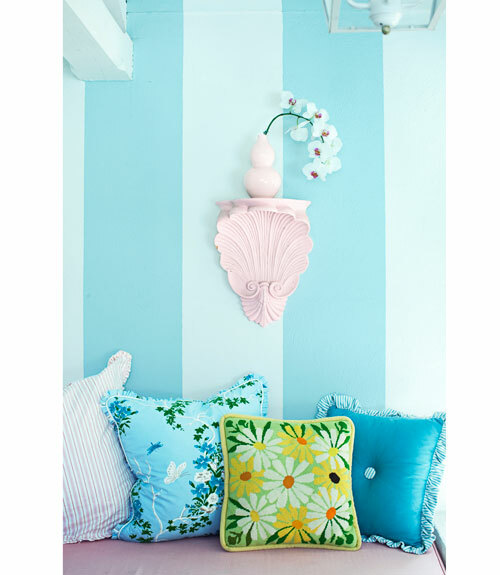 I definitely want more stripes in my house- I really want some curtains with the wide horizontal stripes like in some of the pictures. I think they're so pretty and dramatic. And I'd love to have a house where I could paint some on the floor! Have a great day Jessie! What a happy home...love the colors!! Fearless use of color -- now that's something to admire. Fantastique! This home is full of life! The foyer and dining room spaces are my favorite. 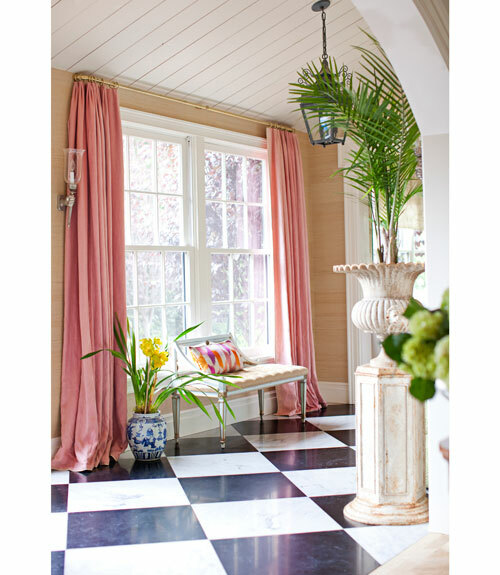 The black and white checkered floors are so classic but bold. Loving every room here! I'm in love with all the colour and the poolside is just amazing! So good! She is a true master at mixing styles.....and making it work. I need to look at those rooms more carefully so I can learn a thing or two!